Follow these simple steps and that ideal property in Turkey will be yours. Before you fly out to Turkey, spend plenty of time researching the market online. Go through all of the information in the Turkish section of this site and then start looking for developers, agents or individual properties that look as if they might be interesting. The Turkish Listings section of the site is probably the best place to start your search, but also check out the advertising in this section, and look at the Directory to get some more contacts. If you are looking for a bargain, then think about subscribing to our weekly newsletter that gives details of selected properties that we think represent good value – these listings aren’t usually advertised to foreigners. Click here for more information on subscribing. Although Turkey's mortgage laws are currently undergoing a lot of changes and the situation is likely to change over the next few months, it is currently not possible for foreigners to arrange financing in Turkey through a Turkish bank. As a result, you will need to obtain financing in your home country, perhaps by re-mortgaging your current property or properties. Another option is to discuss the possibilities with a mortgage broker who is based in your home country and has experience of arranging mortgages on property overseas. It is advisable to do this before heading out to Turkey so that you have a firm idea as to what your maximum budget is going to be. If you spend all your time over there looking at properties around EUR150,000 and then come back and find that the maximum amount you are able to finance is EUR100,000, your time will have been wasted. Also, it’s recommended that you talk to an accountant about the best way of purchasing an overseas property in advance so that you minimize your tax liability. You can find details of potential sources of finance in your home country in the International Directory section of the site. Use the Budget Flights Tool to work out the most affordable way of getting to Turkey and then head out there to look at those properties that look most interesting for you. Check the properties, or the locations if you are looking at an off-plan property. Don’t just check the properties themselves; check out the areas that they are located in as they will all be new to you. Ask plenty of questions. What kind of tenants are you expecting to work with? If you are looking for short-term tenants (i.e. tourists), then you are going to need something very close to the centre. Are there some good hotels close to the property? If so, you’re looking in the right place. If you are looking for long-term rentals, then make sure that it is in a desirable part of the city, if not the centre. Ask yourself the question, “would I like to live here?” If the answer is no, then chances are that the up-market tenants you are planning on renting the property will also not be so keen. Take your time making a final decision as to which property to go for – get as many independent opinions as you can. Remember that agents and developers are all going to be trying to sell you hard on what they have available, so don’t expect an unbiased opinion from them. Also, be aware that many sellers list their property with a number of different agents, which often charge quite substantially different prices, so it is well worth shopping around to make sure that you are getting the best price. Although it is worth speaking to a lawyer before you make an offer on a property, it is worth waiting until you have found a property that you are definitely interested in before making an agreement with the lawyer. 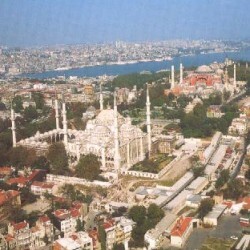 Unlike some territories where it is possible to complete the purchase process without employing the services of a lawyer, this is definitely not the case in Turkey because the country is known for having the potential for problems with property titles, meaning that it can be difficult in many cases to ascertain exactly who owns the property. There is also a fair amount of bureaucracy that you will probably need some help in cutting through unless you are prepared to spend a lot of your time in the country running from one government office to another. As it is vital that you find a lawyer who is representing your interests and your interests alone, don’t ask the real estate agent or developer to recommend one – it’s better to choose one yourself. You can find details of Turkish Lawyers in the directory section. One other advantage of using a lawyer is that, by giving them ‘Power of Attorney’, they will be able to sign legal documents on your behalf. This can offset some of the costs if it means your having to make one less trip to the Turkey in order to complete the buying process. If you do decide to employ the services of a lawyer, reckon on paying around 3% of the purchase price to them, or a minimum of EUR2,000. This sum should include the land registration charges, notary and translation fees. Providing that Turks are allowed to purchase property in your territory, then you will legally be able to purchase property in Turkey as an individual, with the exception of property near Military Forbidden Zones and Safety Regions. There are also restrictions upon foreigners buying more than 30 hectares (74 acres) of land or property within municipal areas with less than 2000 registered inhabitants. If the real estate agent hasn’t already got approval from the state that the property in question is not within one of these areas, your lawyer will be able to make the checks. Everyone know that, if you go to a market in Turkey, you never accept the first price you are offered for that carpet or amusing hat – you are expected to haggle and the initial price will reflect this. The prices of property in Turkey varies a great deal and so be prepared to do some haggling of your own before you come up with a final selling price that is acceptable to both you and the seller. Make sure you know exactly what costs are covered in the final selling price to avoid any nasty surprises further down the line. Typically both the buyer and seller will each pay estate agents fees, which are usually in the region of 3% each. This will need to be signed in front of a notary or directly at the Land Registry Office (Tapu Dairesi). Typically, your lawyer will have several months to check the Title Deeds (TAPU) and the property’s history before preparation and signature of the final contract. Make sure that this is sufficient time for you to have all of your funds in place to complete the purchase because, if you aren’t ready to complete the purchase on the contracted date, you could very easily lose your deposit. Immediately that the agreement is signed, the buyer will pay a deposit, usually around 10%, to the seller. One stage of the buying process that is unique to Turkey is that you will need to be checked by the Turkish Ministry of Defence before you will be legally allowed to purchase a property in the country. Don’t worry; this is not nearly as scary as it sounds. As long as you don’t have a criminal record or aren’t licensed to kill by MI5, then it’s a mere formality that your lawyer will take care of for you. Be warned though, although the process is fairly automatic for normal, law-abiding citizens, it is slow – in the region of three to four months in total – making it the longest part of the process in the transfer of ownership on a property. You will also need to be registered in the tax office and receive a Turkish tax number – another job for your hard-working lawyer. While your lawyer is checking the status of the property, you will now have a certain amount of time to inspect the property. It is not so common in Turkey to request for a surveyor to make a full structural report on a property. If the property has been built recently, then a survey should not be necessary as the building will be under guarantee from the builders. Check the property out yourself. Much of Turkey is in an earthquake zone, so be particularly careful of older buildings to make sure that they aren’t going to fall to pieces if there’s a slightest tremor. You will need to obtain earthquake insurance on the property anyway and you won’t get it if the building is structurally unsound anyway. Reckon on paying EUR500-1,500 for a full survey depending upon the size of the building and for it to take 7-10 working days. You can find details of Turkish Surveyors in the directory section. During this time, you should also be arranging the final financing deal with your bank or mortgage broker so that all of the funds are available at the time of completion. The final contract is signed once your lawyer has carried out all of the necessary checks and searches by checking the Title Deed and the seller has provided all of the relevant title documents and permissions for use. You will also need to have clearance from the Turkish Ministry of Defence and have received a Turkish tax number before you get to this stage. As always, your signatures will have to be notarized or else signed at the Land Registry Office. And naturally you are also going to have to pay the balance of the cost of the property itself. Often this is paid via your lawyer who keeps the money in an escrow account until the sale is finally completed. To complete the purchase, both the buyer and the seller of the property need to pay Stamp Duty equal to 1.5% of the property’s value, plus the first of an annual property tax for 0.3% of the value (although newly built properties are exempt from this tax for the first five years). Earthquake insurance is also compulsory and will set you back another EUR100 per year. Once these sums have been paid, you will be registered as the new owner of the property in the municipality. Congratulations! You’ve just bought yourself a property in Turkey! That wasn’t so difficult now, was it? !